PICUM held the fourth meeting of its Task Force on Legal Strategies in Brussels on 3 December 2015. At the meeting, participants were asked to discuss suggestions and to engage in an open exchange on ongoing and future priorities and possibilities for cooperation among PICUM members working on Legal Strategies. The meeting also served as an opportunity to develop PICUM’s monitoring strategy for the implementation of EU law, to develop PICUM’s case law resource on undocumented migrants’ fundamental rights and to reflect on possibilities for ensuring access to justice and redress mechanisms for undocumented migrants after deportation. 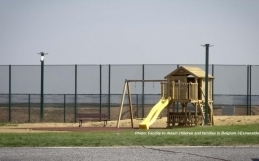 A compilation of case law relating to undocumented migrants’ rights for the use of lawyers and jurists working on migrants’ fundamental rights has been developed by PICUM’s secretariat. Participants discussed the tool which was published by PICUM in January 2016. 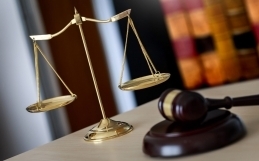 PICUM will regularly update the case law resource and members of the PICUM Task Force on Legal Strategies are invited to submit any relevant update to PICUM secretariat to be included or amended in the online case law resource. Participants discussed and analysed a draft standard monitoring template for tracking EU law compliance at national level aiming at ensuring a better and timely reporting to the European Commission and other institutions to advance undocumented migrants’ rights. On EU level: working with EU institutions on an on-going basis in monitoring the implementation of existing EU legislation. On National level: engaging with national representatives through PICUM members to ensure the establishment of a “culture of monitoring and reporting” on the effective transposition and implementation of EU legislation and compliance with international human rights law standards. Throughout 2016, the PICUM Task Force on Legal Strategies will explore opportunities for strategic litigation on undocumented migrants’ fundamental rights. Particular areas of interest identified include: borders and detention and the implementation of the recent “hotspot approach” in Italy and Greece; summary deportations and lack of procedural guarantees in deportation of undocumented migrants; bilateral readmission agreements and externalization of border control; access to healthcare for undocumented migrants. The PICUM Task Force on Legal Strategies sets strategic priorities and steers PICUM’s work concerning legal strategies. 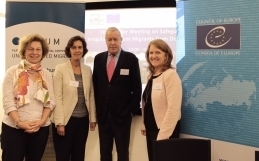 The Task Force serves as a tool for improving mutual learning, increasing strategic cooperation amongst PICUM members and enabling the exchange of experiences of positive impact of legal strategies on the lives of undocumented migrants (i.e. lobbying on law reform and access to justice, case-work, including the use of national and international complaints mechanisms). Recognising that that the law is a very powerful tool for enforcing human rights and addressing violations, PICUM held the first meeting of its Task Force on Legal Strategies on 12 December 2013. The next meeting of the PICUM Task Force on Legal Strategies will take place as part of PICUM’s General Assembly and Annual Workshop in June 2016.